Enjoying culinary expertise together forms a bond. 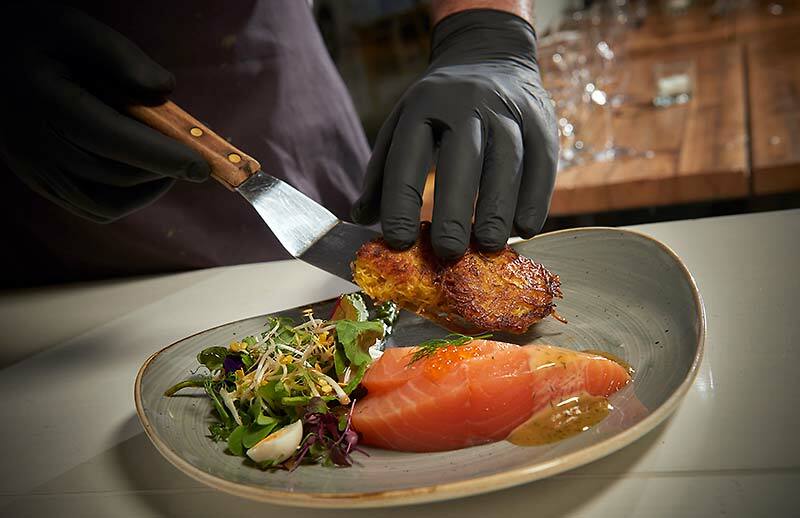 It is the shared discovery of something special, experiencing new delights and valuing the fact that foods are prepared and presented to perfection with the utmost skill. At Traiteur Wille, we take a clear line on this. Cookery is a passion that not only requires a great deal of experience and the pleasure of creating something new, but also one that follows fixed principles. 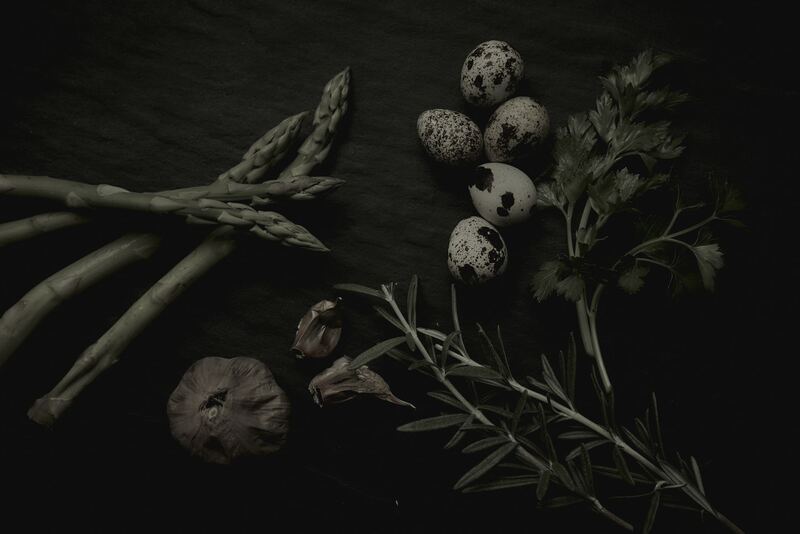 For example, our kitchen only uses fresh products from suppliers whose work methods we are personally familiar with and whose views on topics such as animal welfare and farming are the same as our own. We guarantee the highest levels of quality consistently through trust and dialogue. This enables us to offer our guests exclusive features for any occasion that we manage. Tradition can be combined to perfection with innovation – for example, through the fusion of various types of world cuisine. One of the most exclusive creations is our filled pancake pouch. A fluffy, soft Japanese egg pancake, filled with trout roe and crème fraîche, and tied by hand with chives for a visual and culinary experience. 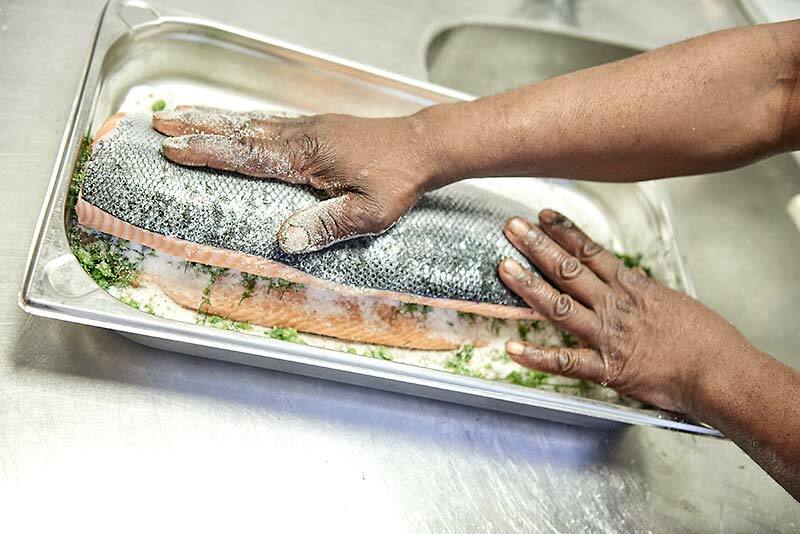 We have bought the salmon for our gravadlax from select sources in the Norwegian fjords for years and cure it ourselves in accordance with a traditional Swedish gravadlax recipe. This means it is always as soft as butter, very succulent, mildly salted and not too fatty. 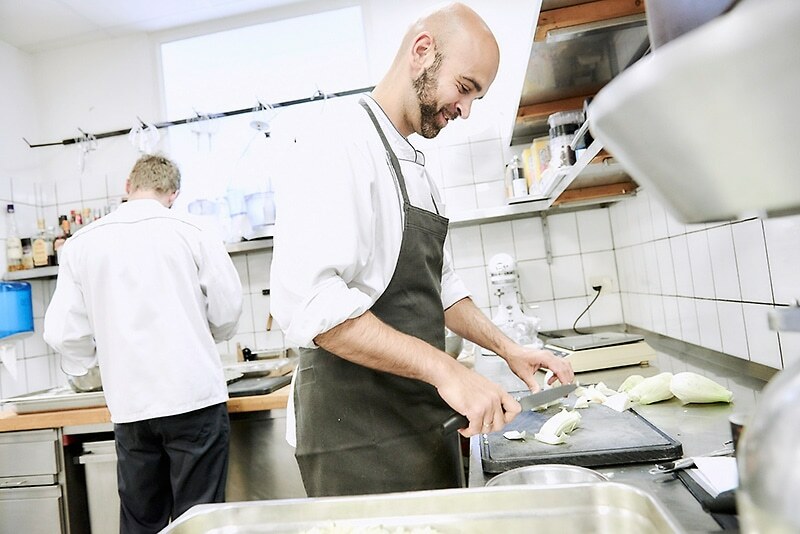 It’s our traditional classic and one that has garnered plenty of praise for Traiteur Wille.